The best way to participate in JazzApril, of course, is to plan a special JazzApril program or programs during the month of April. Or, if your program doesn't ordinarily focus on jazz, to play jazz more than you usually do (though we recognize that in these days of tight playlists and strict formats, that may be difficult). But whatever kind of dj, broadcaster or webcaster you are, you can still mention JazzApril, Jazz Appreciation Month and International Jazz Day on air during can't you? You can urge your listeners to think about jazz, to listen to jazz, to attend jazz performances (when they can't be listening to or watching you). 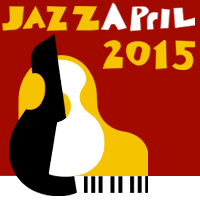 Put the JazzApril logo on your station website or program website. Use social media to let your friends and followers know about your special JazzApril programs using hashtags #jazzapril #jazzday #celebrateJAM (so we see your posts too). Add the JazzApril "ribbon" to your Twitter and Facebook icons. 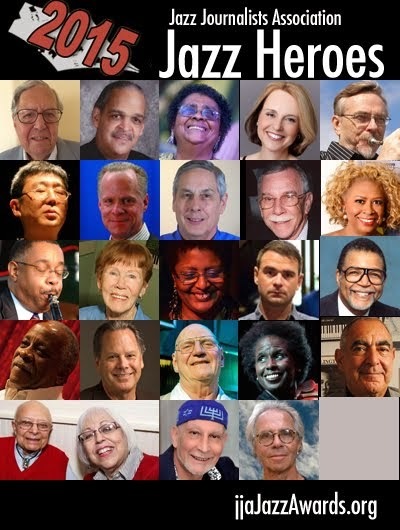 Put a note about JazzApril, Jazz Appreciation Month and International Jazz Day in your station's program guide or on its website. If possible, include the JazzApril, JAM, JazzDay website urls. Produce extra PSAs about local and community-oriented jazz events connected during April. If you can, ask local jazz musicians to record them. Most will be happy to be asked. Produce programs filled with jazz connected to your immediate vicinity. That includes recordings of local jazz musicians and historic recordings somehow connected to your municipality and/or people from the locality. Interview local jazz musicians and/or activists on-air. Create ticket giveaways and other discounts to jazz events and tie them to JazzApril. Most concert producers and presenters are happy to provide a ticket pair or two for a giveaway if asked. It's good publicity for their event.